The Matterhorn Bobsleds has re-opened at the Disneyland Resort. 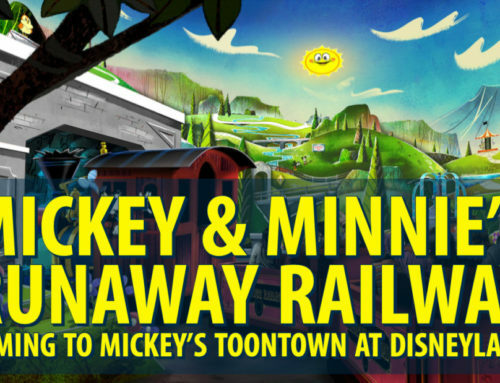 With the re-opening comes a new way to enter the iconic attraction. The area in front of the old Matterhorn entrance has been re-worked to accommodate a bigger queue area. With the expansion of the queue has also come new theming elements, including a new main entrance. 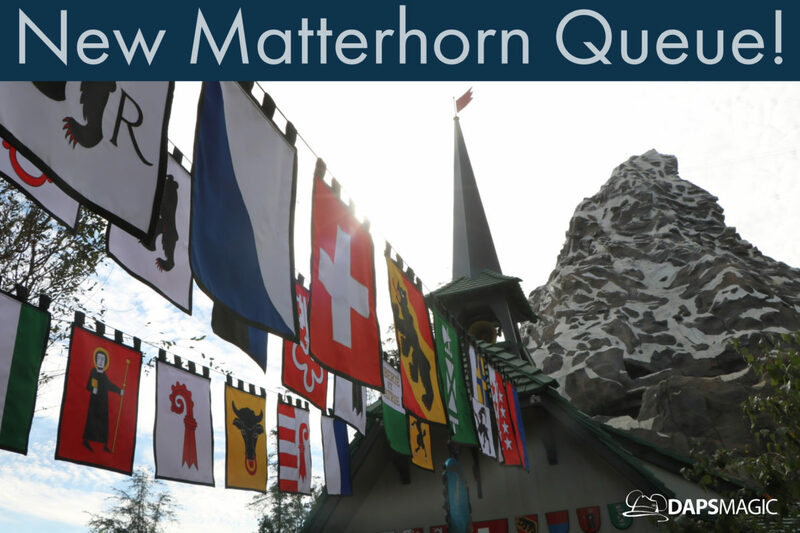 DAPS MAGIC team member Caitlyn captured the following video to give a look at the new Matterhorn queue. Take a look at it and then share what you think of it in the comments below! The Matterhorn Bobsleds opened at Disneyland on June 14, 1959. It is the first tubular still continuous track roller coaster ever. It is modeled after the real Matterhorn in Switzerland. The attraction consists of two tracks where bobsleds race around the inside and outside of the Matterhorn. 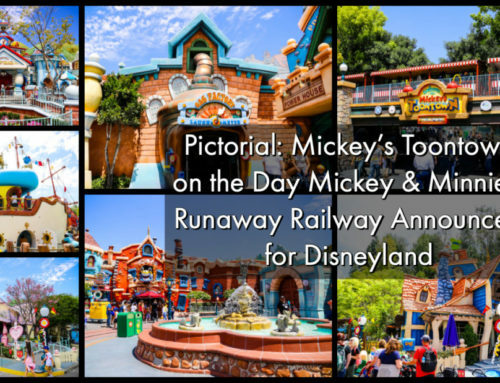 Originally it opened as part of an expansion to Tomorrowland. 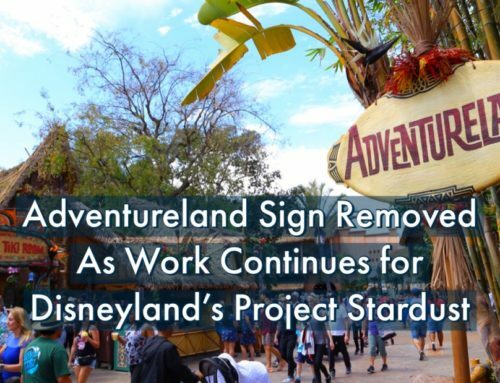 However, in the 70s it was made a part of Fantasyland instead. When it opened it did not have the abominable snowman, this was added in 1978. Until 1994, the Skyway glided through the mountain. When the attraction closed, the gaping holes in the attraction were closed and the attraction was slightly modified for the new look. Much has remained similar through the years for the Matterhorn but there have been updates to the track and also the bobsleds. Recently (2015), the abominable snowman animatronic was updated. Even more recently (2017), Fast Passes were added to the attraction. What do you think of the changes that have come to the Matterhorn Bobsleds through the years? 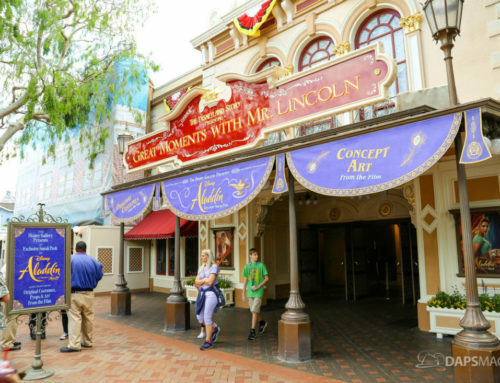 What do you think of the new entrance and queue? Share your thoughts in the comments below!